After winning the MSC Malaysia Asia Pacific ICT Alliance (APICTA) Awards 2018 on 21 September 2018, UTAR Faculty of Information and Communication Technology (FICT) Computer Science student Thew Thung Liang once again proved his impressive presentation skills by bagging another Merit Award in the International Asia Pacific ICT Alliance (APICTA) Awards 2018. The ceremony was held in Garden Hotel in GuangZhou, Guangdong Software Industry, Dalian Software Industry, China on 13 October 2018. 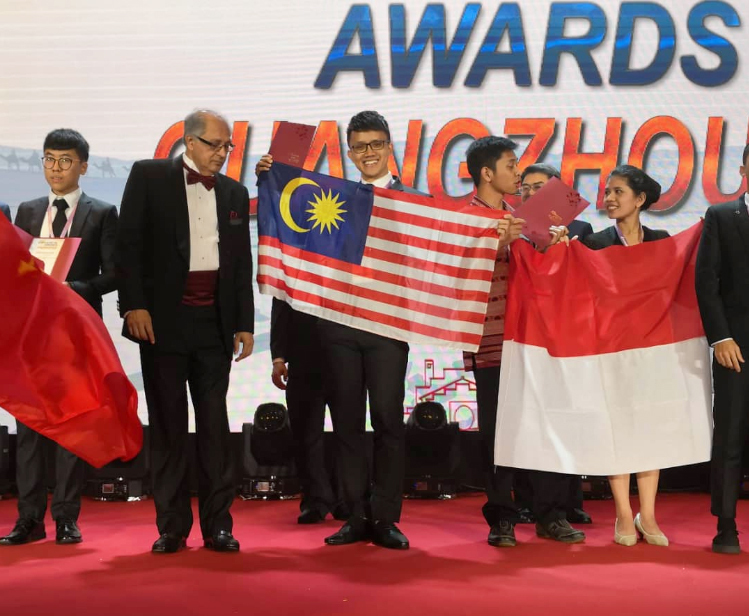 The APICTA Awards is an international awards programme organised by APICTA. It aims to increase ICT awareness in the community and assist in bridging the digital divide. By providing networking and product benchmarking opportunities to ICT innovators and entrepreneurs in the region, the programme was designed to stimulate ICT innovation and creativity, promote economic and trade relations, facilitate technology transfer and offer business matching opportunities via exposure to venture capitalists and investors. He said, “In the last two years, whenever I pass by the FICT corridor, I would see photos of students displayed on the wall for receiving IT award. That time, I told myself that someday I would like to represent UTAR to win in any IT competition. I would like to make a special mention of my lecturer, Tan Teik Boon who believed in me and encouraged me to join the Microsoft Imagine Cup 2017. That was the starting point of my journey towards participating in those IT competitions. Everyone needs such a mentor in life, and I am lucky to have found mine.” He thanked Tan for guiding and supporting him throughout the competition. He also specially acknowledged his friends who had assisted him with his project, namely Bernard Lee Jian Wen and How Xun Zhen, who are also Computer Science students from FICT.